They’re colorful, cute, the smallest of all the birds in the world, buzz around sounding like George Jetson, and can only be found in the Americas. Yep, that’s right. You won’t find one of these fellas buzzing around Europe or Africa. And Panama has 59 different species of these guys. 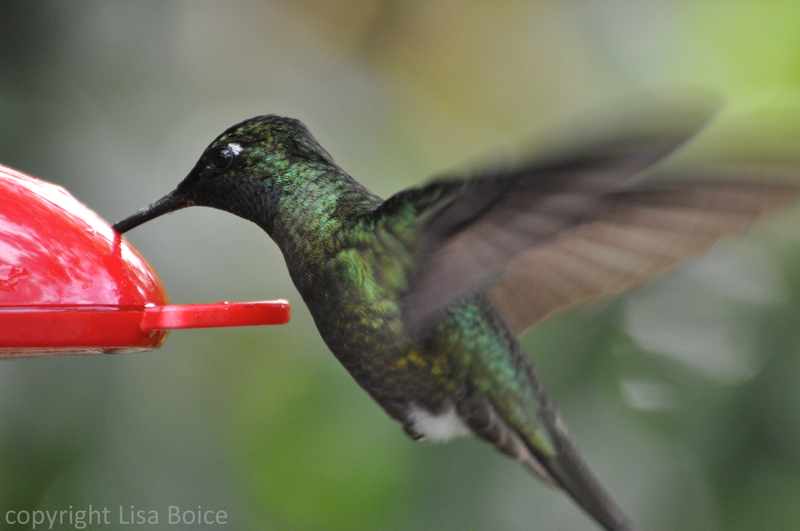 Hummingbirds always seem to put a smile on the face of just about anyone. They’re super fascinating with their sword-like bill, their iridescent colors and if you’re lucky to see, their territorial displays and fights. 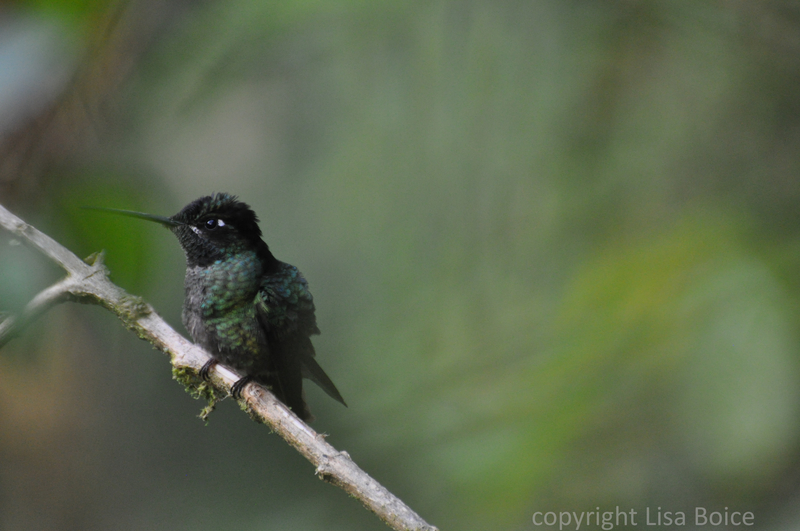 The more aggressive hummers use their bills to fight off competition and we saw a few fallen ones several years back when we were marveling at some fighting over some feeders in Costa Rica. 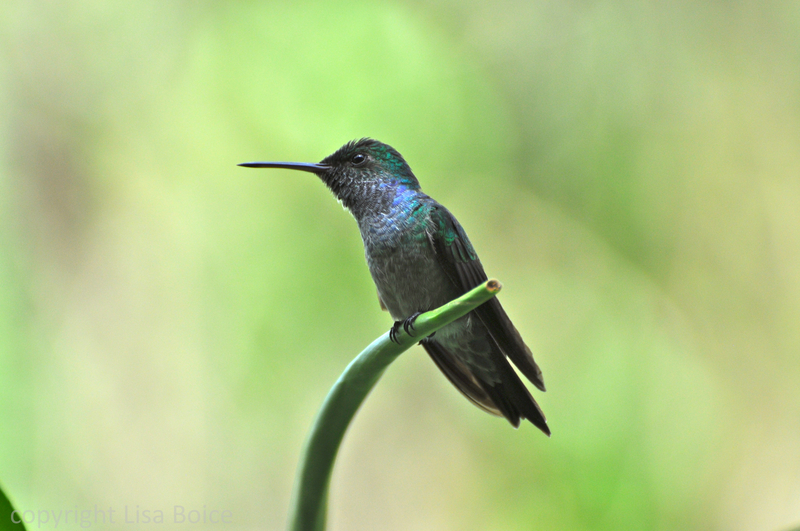 When we were in Panama the last couple of weeks we didn’t see all 59 species, but we saw 26–just about half. And that’s not bad since we were only on the Western half of Panama. 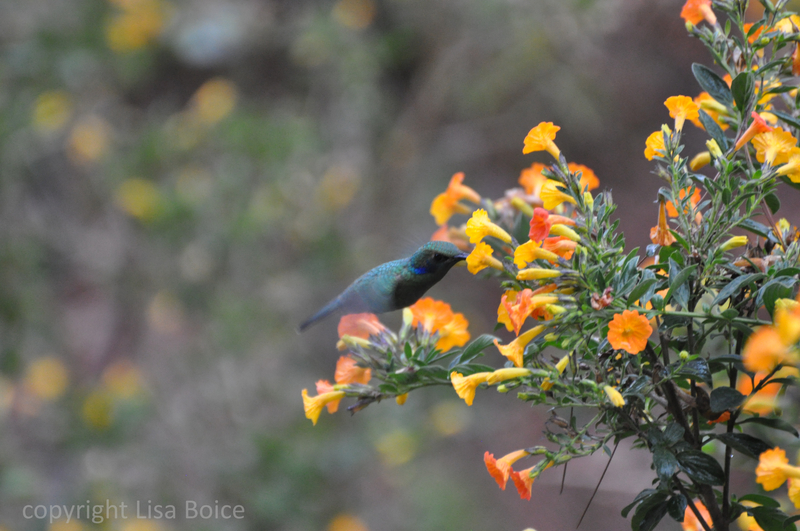 I’d love to have the metabolism of a hummingbird. 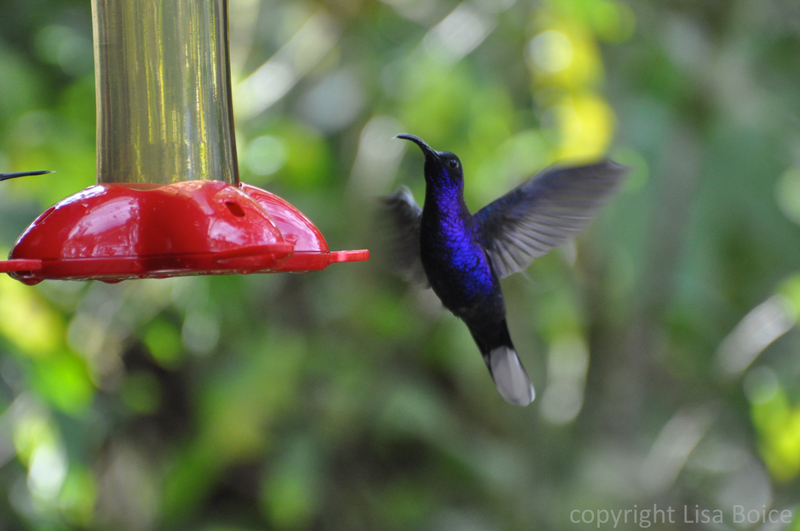 In just one hour after Ito, our guide in the Cerro Punta area, had refilled one of the feeders at the cabins at Los Quetzales, it was 1/2 empty. Yet, these little guys don’t appear to be slowed down as much as I am after having a big dinner, (like the big Easter brunch I just finished). Maybe if I were flapping my tiny wings a gazillion times a minute I’d be thirsty too. Now, I’m not a super exceptional photographer, but I try to practice a lot and hummingbirds give me loads of good practice and material. 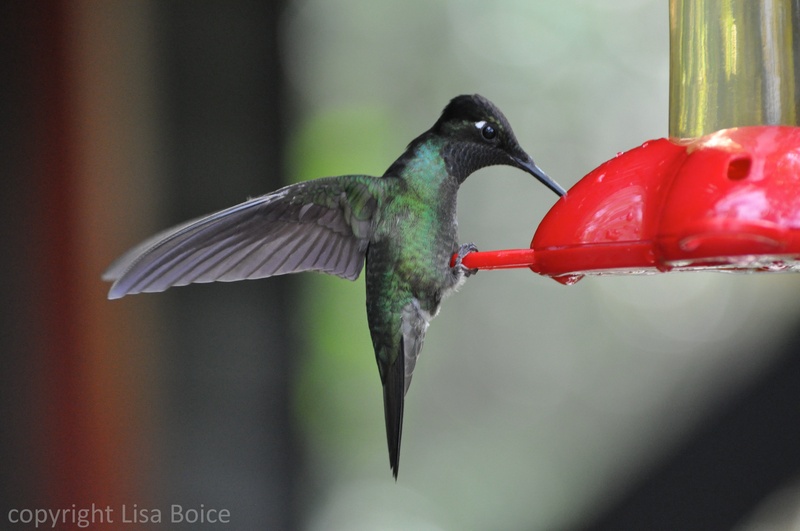 Hummingbirds, believe it or not are pretty easy to capture–easier than, say, warblers. Warblers don’t sit still for one moment. 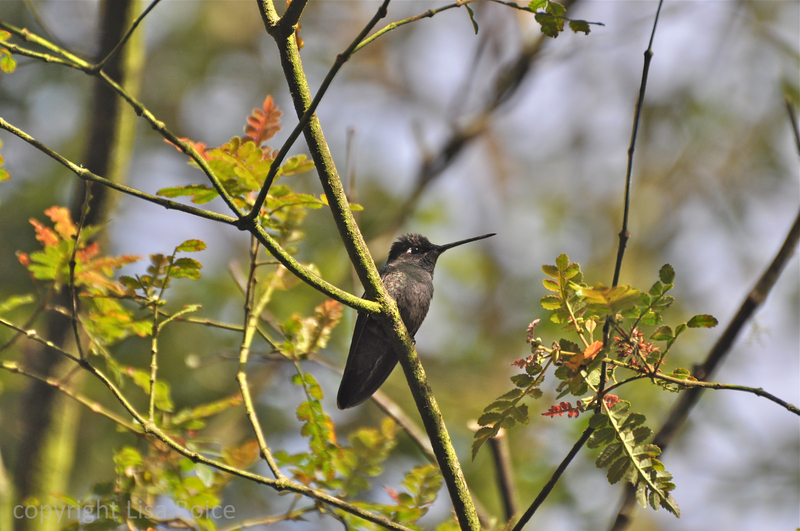 Hummingbirds, on the other hand, often cue up nearby the feeders on a tree branch like good little soldiers, giving me terrific opportunities for getting a nice photo. 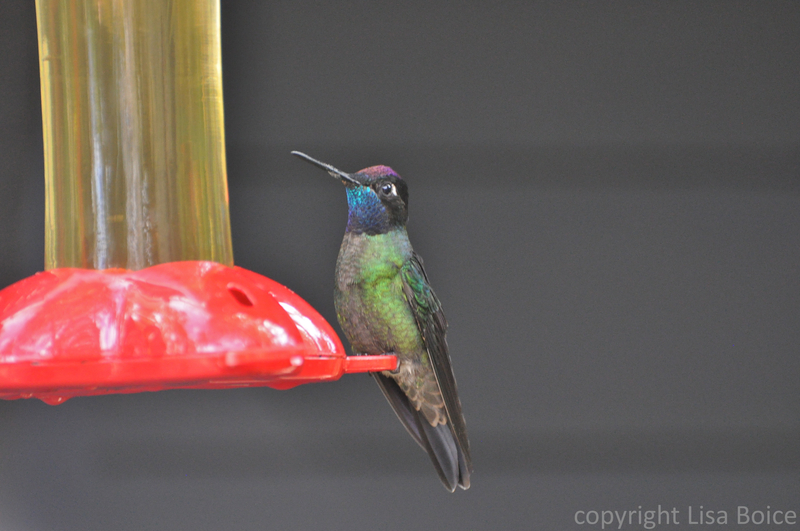 And if the sun is shining just right, I can get some great shots of the iridescent colors these birds are known for. You’ve just got to be careful not to get in their flight path and it gets really crazy when there are dozens or so (or even 20 or so as it was in several cases on our trip) when they fly right over your shoulder. To hear them whiz by right next to your ear is both exciting and scary at the same time. 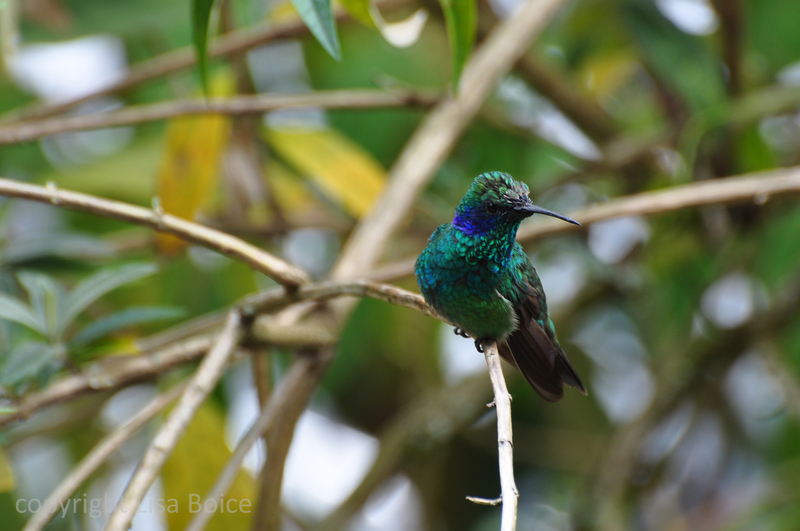 Here are my favorites from our Panama trip of last week and the week before. 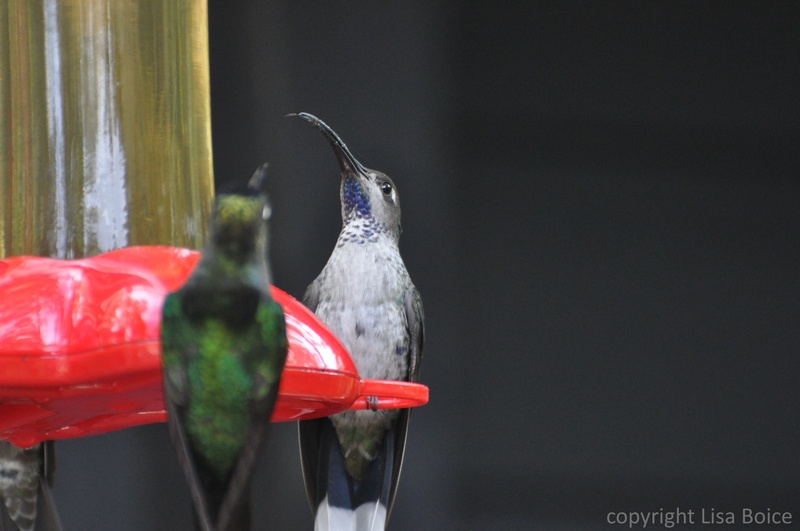 Now that I’ve had a chance to sort through them all (I had close to 200 of just hummingbirds), they are ready for your enjoyment Be sure to click on them to enlarge. I don’t think we have them here – great pics! Gorgeous photos Lisa! Thanks for sharing. Oh my goodness! 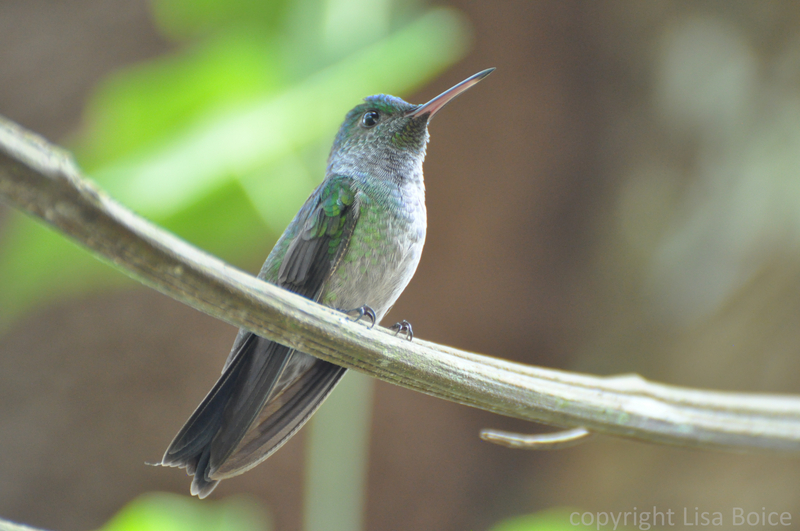 I ohhed and ahhed while viewing each of your magnificent hummingbird photographs! What a wonderful trip you must have had to Panama. 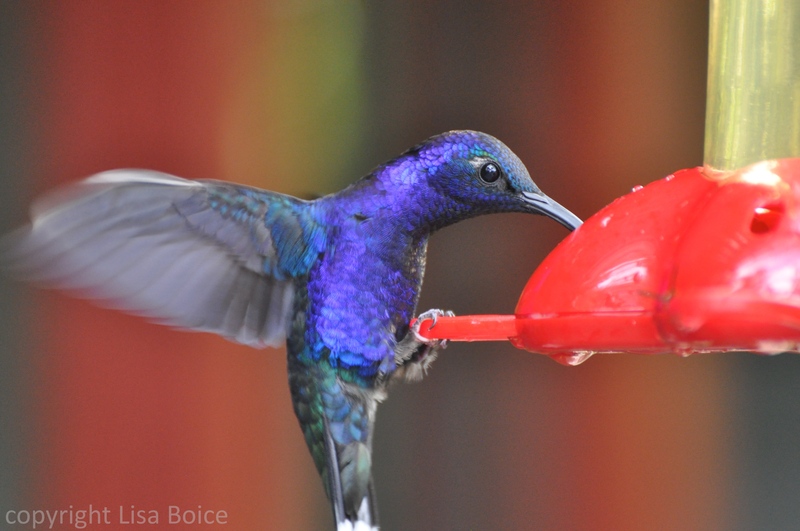 Each and every one of these hummingbirds is stunning. 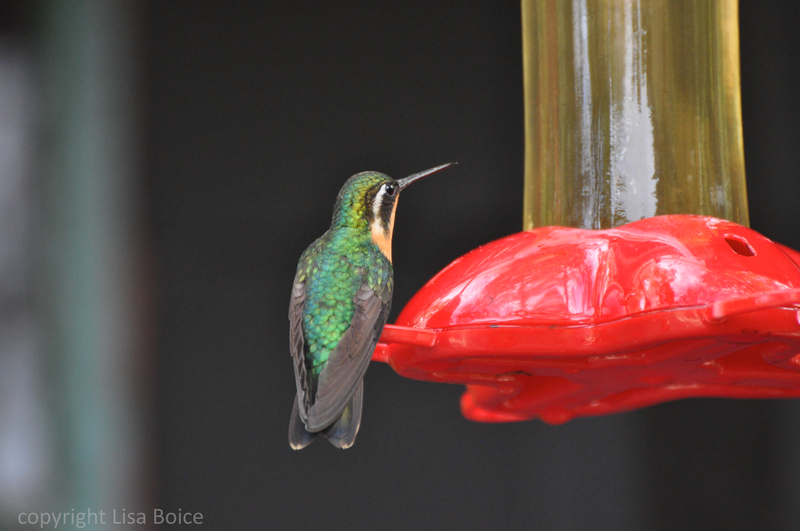 I have only seen Ruby-throated Hummingbirds so viewing the variety of tiny hummers in your excellent photographs is an extra special treat. A joy to visit your blog! Aw shucks,Julie. Such nice words you leave here. 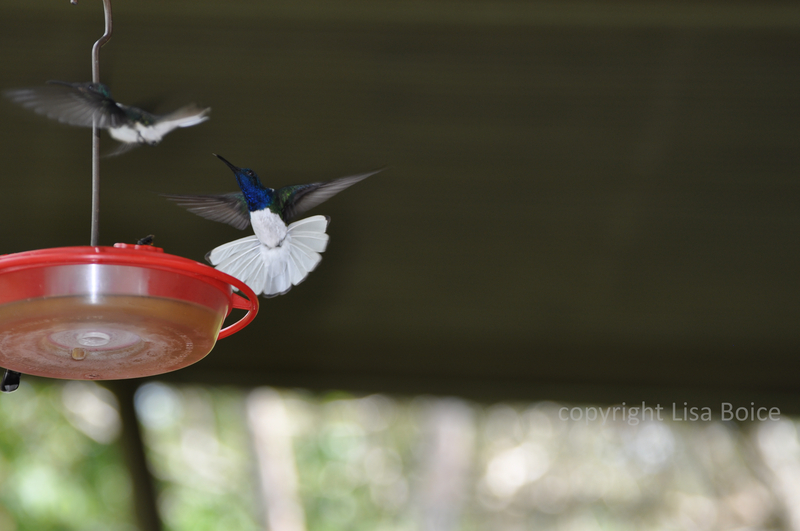 I’ve always enjoyed hummingbirds and it’s a thrill to have 20-30 buzzing around you all at once. They’re such a unique species to enjoy. 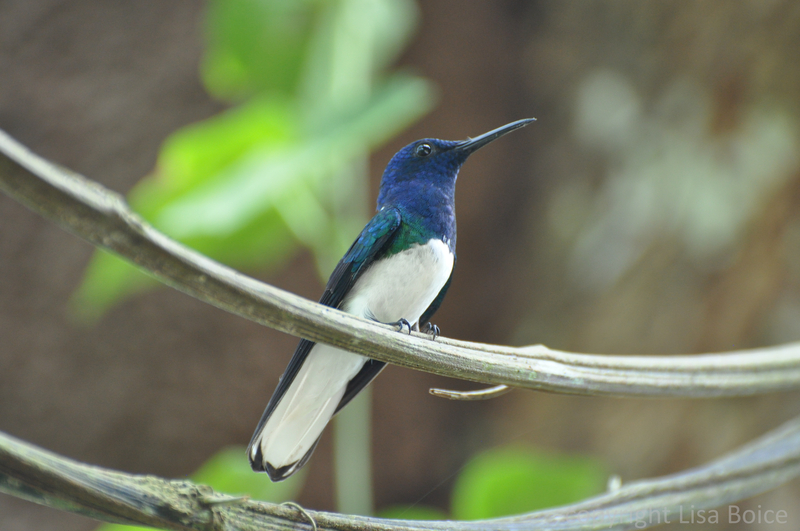 And to think we only saw half the # of species in Panama. Oh well, will have to return, doncha think? Great pictures of our little friends! Gorgeous photos! 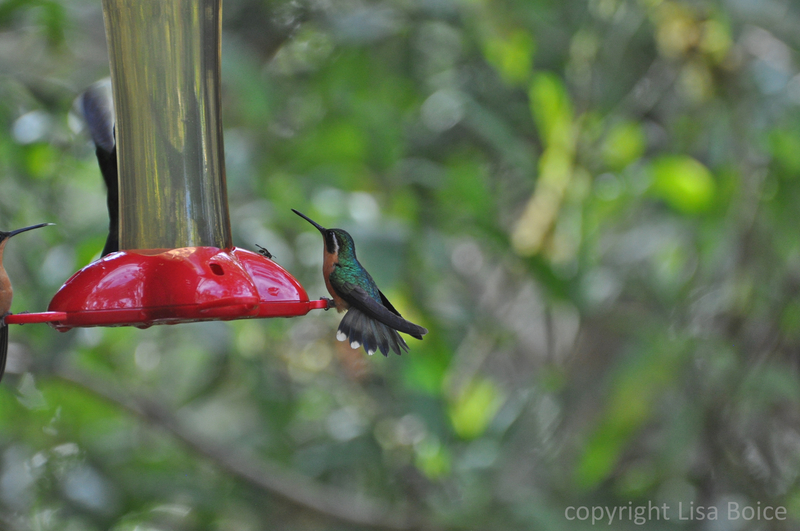 I love hummingbirds. I can’t wait until when my husband and I can go to Panama. 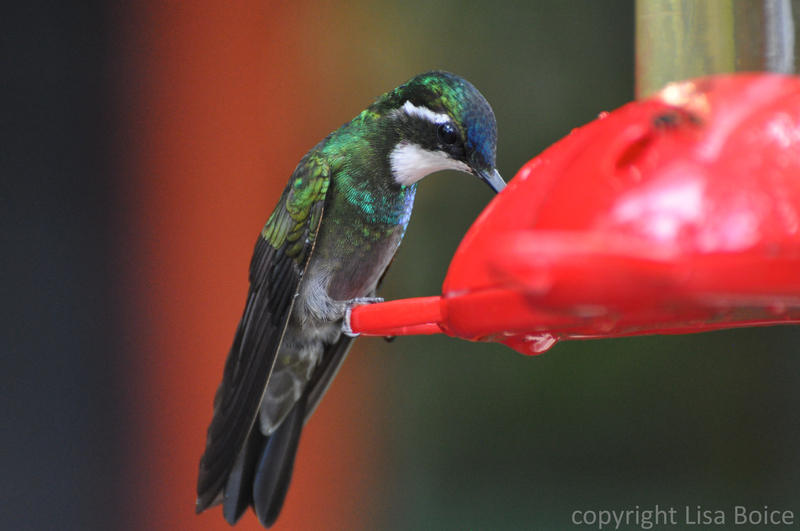 Enjoy your articles and bird photos very much! Lynn, thank you very much! You’ll have so much fun in Panama! Hi Lisa, I am married to David Hemmings, professional photo workshop leader Natures Photo Adventures, hence now I am a bird photographer too! 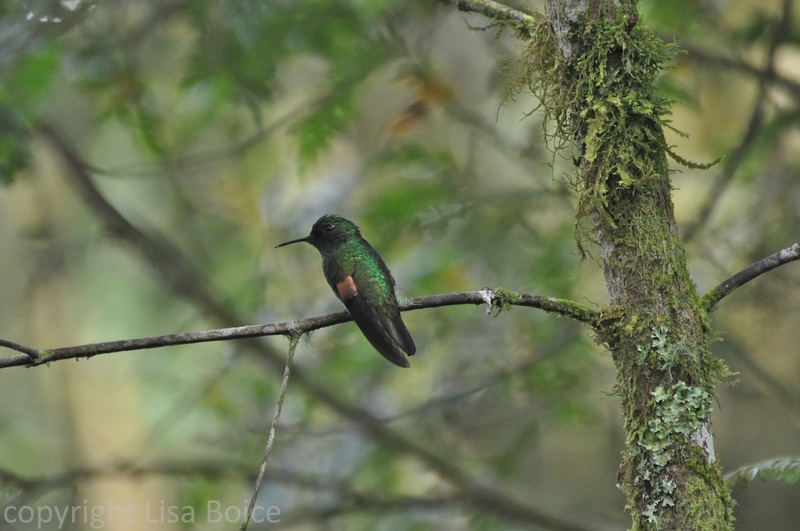 🙂 I really loved your blog, we are looking to add a new hummingbird photo workshop tour and your shared experience has got me excited. Great photographs with natural light! 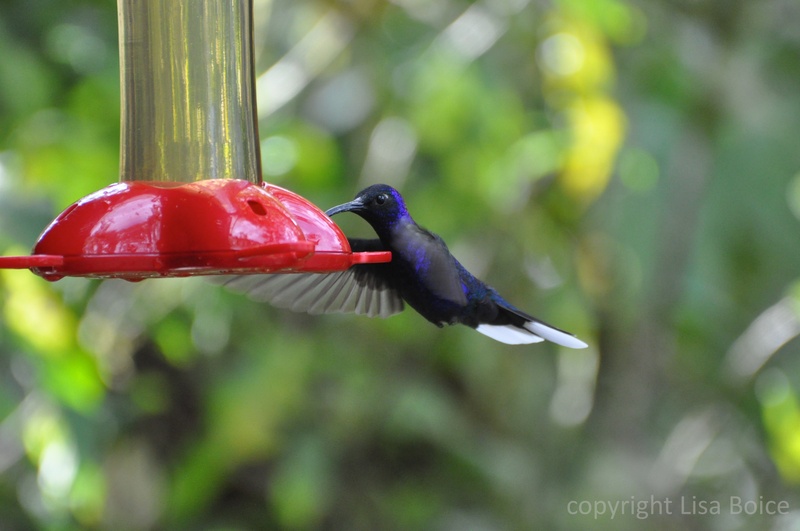 Love the Violet Headed Hummingbird! Jennifer, thanks for your note! I’ll be posting soon another blog post about hummingbird banding we did in southern Arizona. It was such a treasured experience. Thanks for popping in! My husband was from Panama. My first trip down with him we stayed with friends and their feeders were covered with all types of hummers. It was amazing. People in the US think there are only 3 varieties! My husband and I are thinking of spending a few years of retirement in Panama (once I get to retirement). We think it’s a spectacular place with wonderful people.